The south side of Indianapolis is far from a food desert, but it’s not exactly awash in trendy bistros and macha-flavored desserts, either. 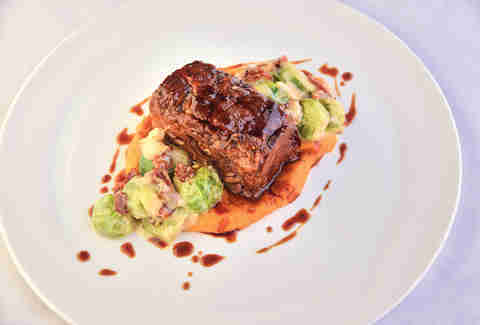 But look carefully and you’ll find establishments offering sophisticated fare, interesting takes on exotic cuisines, and two-fisted homages to American meat-and-potatoes favorites. Step aside, Mass Ave, the south side is bringing it. This mid-sized Downtown Greenwood establishment likes to keep things local -- from its Indiana-sourced meats, vegetables, and wild game, to its ample list of Indiana craft beers. The menu changes with the seasons, and currently offers such stick-to-your-ribs winter favorites as poutine, braised lamb Bolognese, and orzo pasta. Make time (and wear your stretchy pants) for Revery’s Sunday brunch, the star of which is a little slice of porcine heaven: chicken-fried bacon. If you’re looking for an obscure, hard-to-find beer, this Greenwood pub/eatery probably has it. The establishment, whose interior was salvaged from an authentic British pub, offers more than 300 bottled brews and 40 draft beers. So odds are good that you’ll find something to pair with whatever you select from the extensive dining menu, which includes a grilled boneless pork chop, panko-coated breaded tenderloin, and the less-than-toothsomely-named Swamp Chicken, drenched in the establishment’s house-made Caribbean-style marinade. 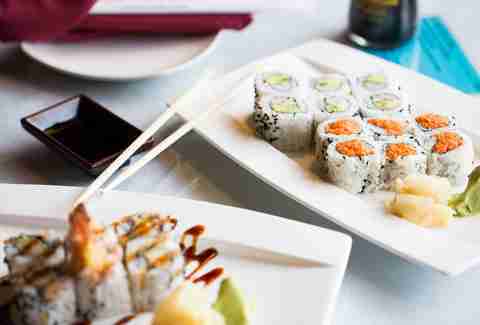 Though it faces little serious competition in Indianapolis’s landlocked southern extremities, we think Ichiban would still come out on top in the “best sushi” category. 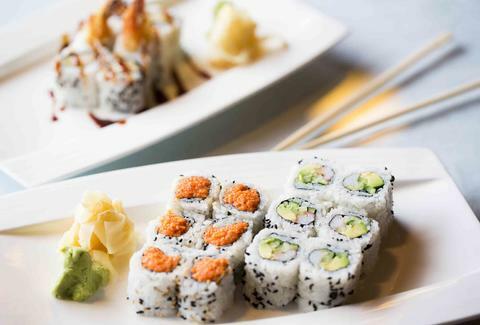 Stop by for the half-price sushi happy hour special, Mondays from 5 to 7pm and try all the rolls you’ve been hesitant about. The regular menu isn’t entirely focused on Japanese fare, so give the Thai-style tom yam soup a try. There’s also a surprisingly large selection of vegetarian and meat-optional dishes, including the home-style tofu and Japanese pan fried udon. Situated in an old house just off Greenwood’s Main St, this establishment (as the name implies) is all about that burger. Or rather, “the finest burger this world has ever tasted, end of story.” The lineup includes the Big Daddy (two 8oz burgers topped with Cheddar cheese, blue cheese crumbles, Applewood smoked bacon, and the restaurant’s own spicy Buffalo sauce, among other things), along with the PB&J Burger, which we’re not going to explain. You just have to try it. Guest can order a “flight” of BTB offerings via the Fantastic Four Burger Sampler -- four slider-sized versions of the restaurant’s menu choices. As the name implies, this smallish operation is your one-stop headquarters for mouth-torching Thai favorites (if writhing in agony after each bite of your entrée isn’t your thing, they’ll of course dial it back). 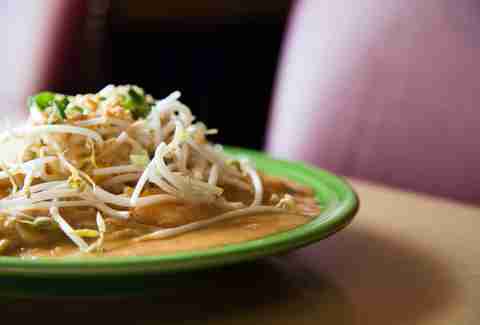 Try the catfish curry for a peculiar melding of southeast Asian cuisine with the American South’s favorite fish, or satisfy your noodle jones with Ma Ga Tee -- coconut-flavored rice noodles topped with Thai peanut sauce, bean sprouts, ground peanuts, baby dried shrimp, and your choice of meat. This establishment, like so many “Chinese” eateries, offers a wider range of tastes than its name lets on. You’d be well-advised to skip sweet and sour chicken and focus instead on the extensive selection of Vietnamese dishes. Try the rice noodle (think of it as ramen’s wild, exotic sister) soup with shrimp and pork, or the charbroiled pork chop with egg over rice. Many menu choices are presented only in Vietnamese, but your server will help you navigate. At 14 years of age, this place was brewpubbing back when brewpubbing wasn’t cool -- or at least, not all that common in Indiana. 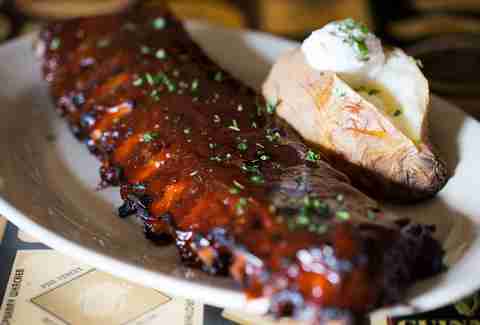 The restaurant’s Nouveau-American menu includes a wide array of finger foods (try the Korean beef quesadilla), plus lots of big-plate crowd pleasers such as mesquite-smoked ribs, shepherd’s pie and Cajun jambalaya pasta. This hole in the wall in the heart of Greenwood offers a full bar, live (mostly country) music, and karaoke. But the real star is the pizza, available in thin crust or pan style. Service isn’t lightning fast, but the results are worth the wait. Surprisingly, the deep-dish pie isn’t as heavy and buttery as you’d expect from a Chicago-style pizza. Instead the crust (made in-house daily) is light and flaky, with a crispy edge. This huge roadside edifice has been doling out comfort food since 1944. Located in the far south side town of Mooresville, Gray Brothers is a gigantic cafeteria (seating capacity 400-plus) serving fare that’s anything but cafeteria-like. The place has been written up nationally, and offers an absolutely massive list of goodies, including peerless fried chicken, homemade chicken and beef noodles, and roast pork with dressing. Desserts consist of pretty much every pie variety known to man, from sugar cream to the establishment’s signature strawberry. If you get sleepy after a big meal, you may need a designated driver. Sam Stall lives in Indianapolis with his son, James. He might walk 40 days through a food desert to try a PB&J burger.